When Kermit the Frog sang, 'It's not easy being green,' did he know what a deadly color green actually is? My brother sometimes remarks that a few of these blogs are like the fire engine joke we used to tell as kids (Why are fire engines red? Because there are 10 firefighters in the front and 20 in the back. Ten and 20 makes 30. There are 30 centimeters in a ruler. Queen Victoria was a ruler. She ruled over the seven seas. Fish live in the seas. Fish have fins. The Finns fought the Russians. And the Russian flag is red). Well, I’m afraid this blog is quite a lot like the fire engine joke, only it is not about red, but about green. The Green New Deal is a current US political plan which its backers say will increase income equality and address climate change. But that’s not the kind of green I want to talk about. Nor do I want to talk about green as the metaphorical color of jealousy (Iago’s “green-eyed monster”), nor the medieval meaning of green, which was worn by a young knight to show his inexperience, but also insolence and audaciousness (Sir Gawain and the Green Knight), nor the green which Johann Wolfgang von Goethe describes as the most perfect of colors, being precisely in the middle of the spectrum, perfectly centered between red and violet. No, I want to talk about the color green that almost killed Charles Dickens. The green that may have killed Napoleon. And also to try and figure out what the talmudic and medieval rabbis meant when they spoke about the color green. Although green is one of the most abundant colors in nature, it was very difficult to use natural ingredients to create green paint or dye. Nothing would stick and all the greens appeared pale and watery. Nowadays every child knows that it is easy to make green by simply mixing blue and yellow. But Michel Pastoureau explains in Green: The History of a Color (p. 114) that in the medieval world, those two colors would never have been mixed together. Not only because of a general aversion to mixtures (which was considered demonic because it went against the will of the Creator), but also because of guild laws. Dyeing trades were specialized and compartmentalized according to textile (wool, linen, silk) and color. Regulations forbade working in a range of colors for which one was not licensed. With regard to wool, for example, a dyer of red could not dye it in blue and vice versa. 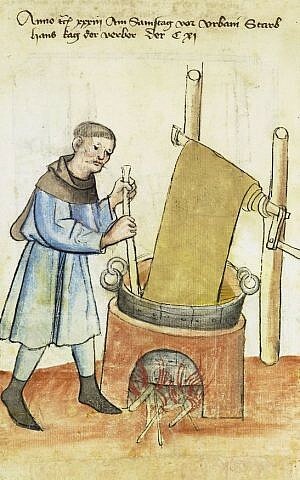 On the other hand, blue dyers were often responsible for green and black shades, and red dyers for a range of yellows and whites… Dyers in the late Middle Ages rarely mixed two colors to make a third — and especially not blue and yellow to obtain green — not only because of the taboos just noted but also because of professional compartmentalization: since blue vats and yellow vats were not found in the same facility, it was materially impossible to mix those two colors. So it was a very big deal when in 1775 Carl Wilhelm Scheele invented a synthetic green, which he named Scheele’s green. It was vibrant and could be used for painting, dying fabrics, wallpaper and even to color children’s toys and food. Everyone loved the color. 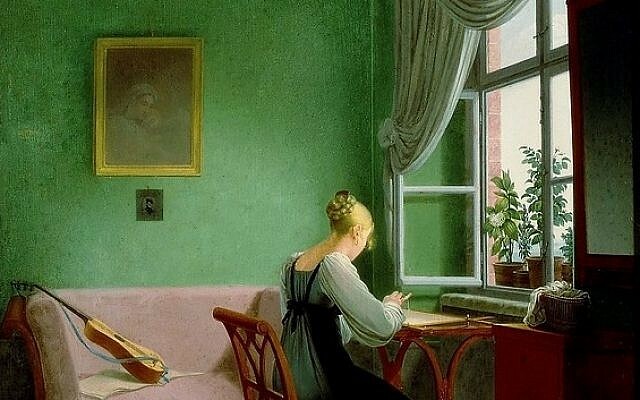 In 1845, Charles Dickens visited Italy and was so taken by the color that he planned to redecorate his entire house, from top to bottom, using Scheele’s green. Luckily, his wife put her foot down and forbade him from doing so. She adds that by 1863, between 500 and 700 tons of Scheele’s green were being made each year in Britain alone. But it turned out that this wonderful color could be fatal. A 19-year-old artificial flower maker named Matilda Scheurer sickened and died after working with the green for 18 months. One little girl died after sucking the green from a bunch of artificial grapes. The reason that green was so dangerous is that Scheele made his green out of cupric hydrogen arsenite (AsCuHO3) which, as the name implies, contains the highly toxic element arsenic. An 1871 article in the British Medical Journal found that a six-inch square sample of the green wallpaper contained enough arsenic to poison two adults. In January 6, 1877, Joseph Farrar published a paper about a man who spent several weeks painting Christmas cards using lots of green paint, who became seriously ill. He suggests that the manufacturers should be required to not only write “poisonous” on the paint containers (which they already did), but a more detailed description of the dangers of using the paint. 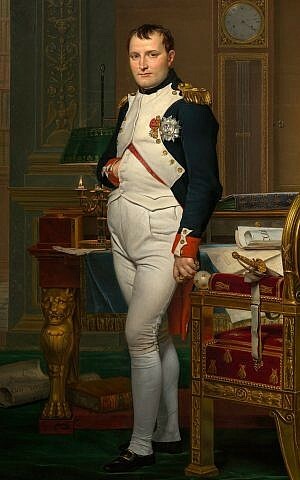 On May 5, 1821, Napoleon Bonaparte died in exile on the island of Saint Helena in the Atlantic Ocean. His physician gave the cause of death as stomach cancer. However, tests carried out much later found high concentrations of arsenic in his hair. 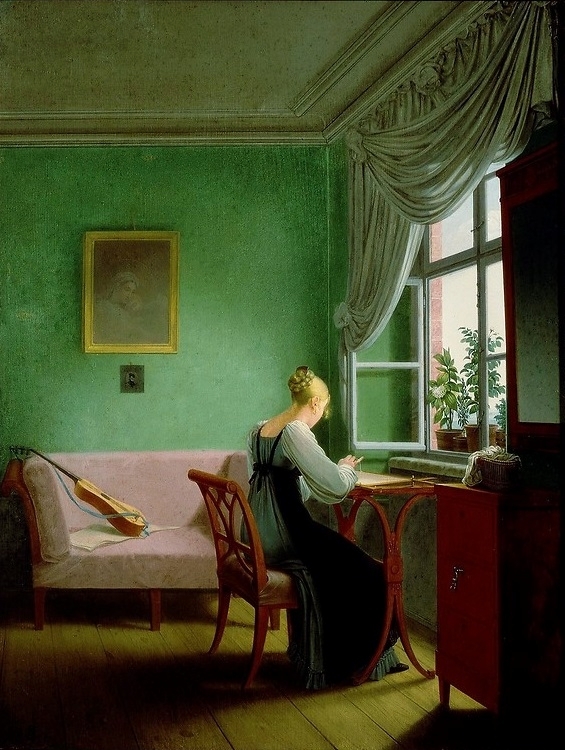 New Scientist published an article in 1982 in which David Jones was able to analyze samples of the green wallpaper from the room in which Napoleon died, and found it contained fatally high levels of arsenic. So green can be an extremely dangerous color. But what color is it exactly? In this week’s Torah reading it describes different afflictions all known by the Hebrew term tzora’at and which is impure. Leviticus 13:49 says that if a garment has a discoloration of green yerakrak or red adamdam it must be shown to a priest who will rule whether or not it is impure with tzora’at: The same word is used in 14:37 to describe impure discoloration on a building. Rashi writes that the word yerakrak means yarok she-be-yarukin — the greenest of the greens. (In contrast, Ibn Ezra says it means the palest of greens). But what does Rashi actually mean when he says yarok — green? Rashi also says that tekhelet is yarok in his commentary to Numbers 15:38. The Mishna (in Talmud Berakhot 9b) says that the earliest one may read the morning Shema prayer is when one can distinguish between tekhelet and karti. Rashi writes in his commentary there that tekhelet is yarok and similar to the color of a karti which is called a leek (he writes “porels” in Old French which is similar to the modern French word poireau). 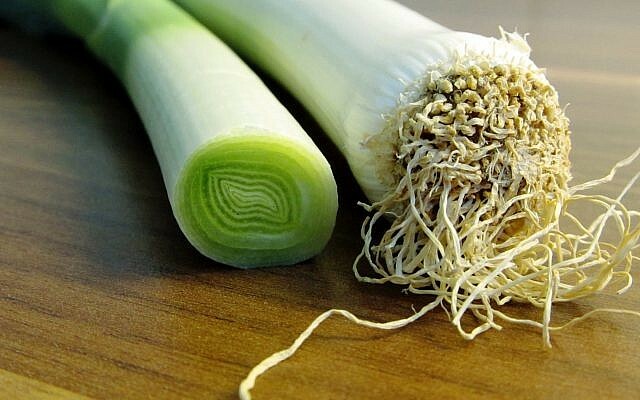 Leeks are pale green, and the Talmud in Sukkah 31b discusses whether or not an etrog (citron) can be used on Sukkot if it is “yarok like a leek.” So how can Rashi say that this is the same color as the sky-blue tekhelet? Neither etrogs nor leeks are ever blue. Tosefot (a school founded by Rashi’s grandsons) on that page discuss whether the word yarok means green or blue without reaching a conclusion. They explain that the Talmud in Sukkot implies that it means green (verte in Old French) but the Talmud in Berakhot somewhat implies it means blue. Furthermore, in Menachot (43b) it states that tekhelet is the color of the sea and the sea is the color of the heavens, which must mean blue. However, in the Yerushalmi (Berakhot 1:2) it says that tekhelet is the color of the sea, which is the color of grass, which is the color of the heavens. Anyway, where does this leave us? 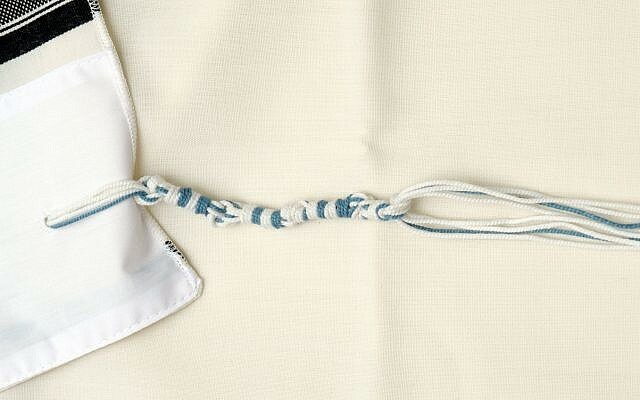 What does Rashi mean when he says that the discoloration on the garment is the yarok she-be-yarukin? The philosopher Nelson Goodman coined the word “grue” for a color which can be both green and blue. An example of grue is in the Vietnamese language, where the same word “xanh” can mean leaf green (“xanh lá cây”) or sea blue (“xanh dương”). The Himba people of Namibia have three different words for different shades of green — zuzu, dambu and buru, but they have no distinct words for blue (blue is also buru). As a consequence, they can distinguish between shades of green that seem identical to most Westerners, but struggle to see the difference between blue and green. Watch this incredible video to see the impact of language on how we see color compared to the Himba people. Yaroka: Not like grass, rather like the color of cuscuta (a yellowish plant), or the color of saffron or crocus, or the color of an egg. And all these are types of yarok although each one is different from the other. And any color of crog (crocus) is also called yarok. But if we go back to the source of Rashi’s comment on our Torah portion it makes sense that yarok actually includes a range of colors. Two Rabbis disagree as to the meaning of yarok she-be-yarokim in the Tosefta (Negaim 1:3). 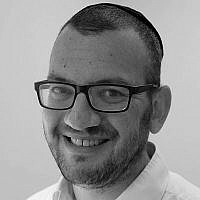 Rabbi Eliezer says it is the color of wax or the [yellowish or greenish] karmulin plant. Sumchus says it is like the wing of a peacock. So it seems that for Rashi and Tosefot, like for the rabbis of the mishnaic era, the word yarok does not actually mean green, but rather describes a light shade of color, which can be anything from saffron yellow to sky blue. Just as the medieval guilds carefully separated their colors between the red family and the blue family, so too the Torah here tells us that the impure color could be of the yarok family or of the red family. 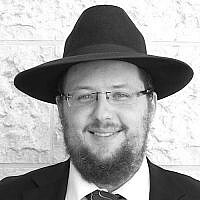 David Sedley lives in Jerusalem with his wife and children. 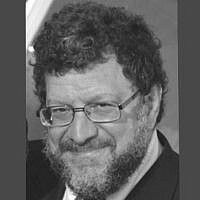 He has been at various times a teacher, translator, author, community rabbi, journalist and video producer. Born and bred in New Zealand, he is usually a Grinch, except when the All Blacks win. And he also plays a loud razzberry-colored electric guitar.